We have a team of tehnically qualified young blood for Scanning of OMR/ICR/OCR sheets using high speed OMR/Image/Hybrid Scanners. We provide error free data in all the formats i.e. Excel, csv, tiff, pdf. Optical mark recognition (also called optical mark reading and OMR) is the process of capturing human-marked data from document forms such as surveys and tests. Net-E Pay OMR software is used for MCQ test pattern to get quick & accurate test results. It can read the candidates responses on the OMR answer sheet and directly convert them into result. We process Pre-examination and Post-examination Result Processing of Medical, Dental and Insurance Claim forms by automatic data capture using OCR/ICR tools or by manual data entry depending on your requirement and the quality of the input format. Addmen is a forerunner in providing recruitment solutions in India. We provide OMR Sheet Scanning Software for in-house scanning of OMR application forms and OMR answer sheets by your recruitment team. 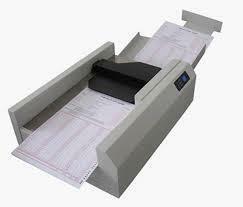 We are scanning all types of OMR sheets through the available scanners. Scanning through scanners is take us to the accuracy and less time consumption. We can scan various sheets with setting there templates. Scanners give us numeric as well as alphabetical data output. Accuracy is the major advantage of OMR Scanners. What is OMR, OMR is stand for Optical Mark Recognition. OMR technology is useful for various applications in which large numbers of hand-filled forms need to be processed rapidly and with correctness. OMR-50FS is the newest technology for fast accurate data collection by Scanning information directly from forms into the computer at a speed of up to 8000 pages / hour. OMR50FS, a reliable machine with high performance and very easy to use and operate. We implement the latest OCR/ICR/OMR technologies to convert hard copy documents into digital, editable text. Indus Valley Inc.has expertise in managing voluminous and complex OCR, ICR and OMR while maintaining highest level of accuracy. - For OMR sheets, we provide both standard and heavy weight paper of highest quality to satisfy your scanning needs and that meets stringent scanner requirements. In order to keep pace with the never ending demands of customers, we are involved into rendering OMR Scanning Service.